Do you have a painful tooth but do not want it removed? A Root Canal Therapy can save most teeth from being extracted. Do you have a broken or achy tooth that has been sensitive to cold and hot foods? If yes, the tooth may need a root canal treatment/therapy. At Market Dental Centre, we are proud to offer root canal therapy to most of our patients. Sensitivity to hot or cold foods and beverages. Tooth becomes darkened or discolored. Toothache due to biting, chewing or other forms of pressure on the tooth. Recurring abscess or pimples on the gums. The objective of root canal treatment is to save a tooth that has been severely damaged because of decay, disease or injury. Whenever possible, it is preferred to save your own tooth, as it will generally be better than an artificial tooth. Your own tooth is likely to be stronger and better for biting and chewing. When the root or the pulp gets infected, it becomes necessary to remove the nerves/pulp to prevent further damage to the tooth. 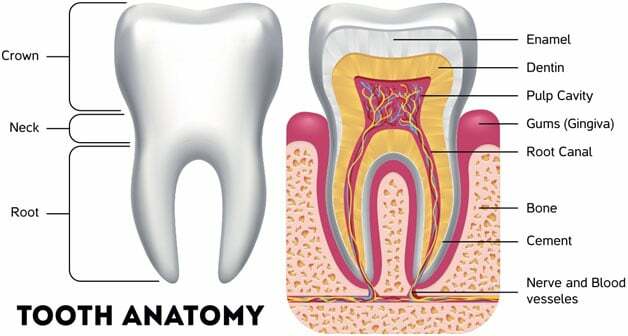 Root canal refers to the procedure of removing the infected root and pulp of the tooth, cleaning out the inside of the tooth and sealing it for protection. A root treated tooth is at increased risk of fracture and your dentist will usually recommend the protection of an artificial crown.